Astronauts Using DSLRs... In Spaaaaaaaaace! 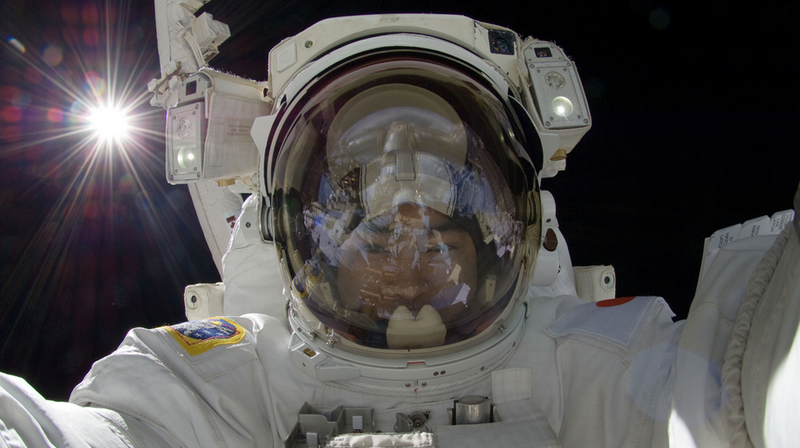 This mother of all self-portraits was shot on Wednesday by Japanese astronaut Aki Hoshide while on a six-and-a-half hour spacewalk outside the International Space Station. If this doesn't make you swear off duckface mirror smartphone selfies forever, you're beyond redemption.